Check me out. 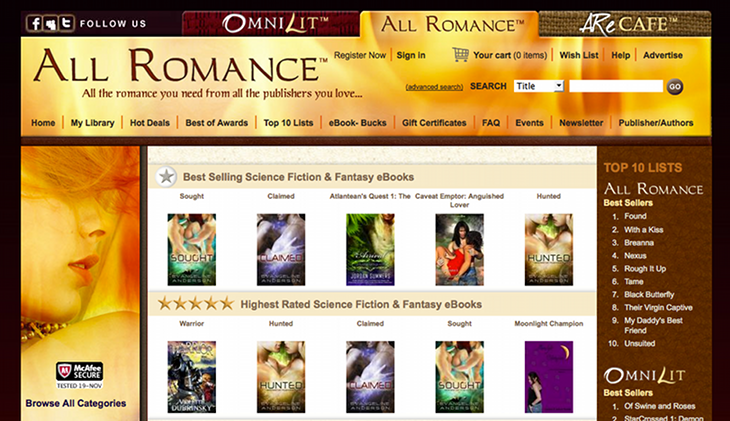 As of 19 November 2011, Caveat Emptor 4: Anguished Lover is listed as one of All Romance eBooks’ bestsellers under the Science Fiction/Fantasy category! Woot! Thanks, everybody, for putting me there. I’m glad you enjoy the series.